First up is Galina Kuznetsova’s ‘Kunak’, a powerful short piece following a flood of refugees as they attempt to make it to the safety of a military ship on the coast. The inevitable chaos is momentarily quieted when an unexpected latecomer appears, a horse swimming towards the ship. From here, we move to France, where Yury Felsen’s ‘A Miracle’ introduces us to an invalid addicted to morphine – and shows us that when it comes to those suffering an addiction, it’s best not to take everything at face value. This is also true of the lovesick heroine of Nina Berberova’s ‘The Murder of Valkovsky’, a woman whose way of avoiding temptation is to consider eliminating it permanently. Sadly, he dies not long after, but in a moving finale, reminiscent in tone of James Joyce’s ‘The Dead’, the narrator discovers that even in a foreign land, his countrymen know how to bid farewell to the departed. 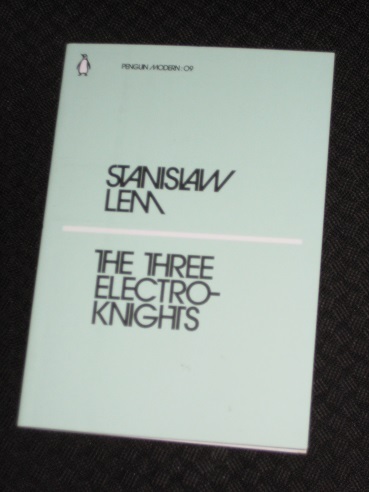 From the realities of life on Earth, let’s head into outer space, and the mini-collection of Polish writer Stanisław Lem’s stories, The Three Electroknights, makes for quite a contrast with the Russian tales. Lem delights in stories set in fantastic worlds far beyond our galaxy, featuring lifeforms made of ice and steel, and when set against the Borgesian style and the slightly archaic language used by translator Michael Kandel, these mini space operas make for excellent reading (if Matt Bellamy, the songwriter and vocalist of the English band Muse, hasn’t read Lem, I’d be very surprised…). ‘The White Death’, for example, features a planet-spanning ruler who attempts to keep his people safe by surrounding the planet with asteroids and space debris and banning them from living on the surface. However, you can’t eliminate danger completely, and it’s perhaps inevitable that death will visit his world eventually. Another larger-than-life ruler appears in ‘The Tale of King Gnuff’, in which the monarch is so startled by a sinister prediction that he decides to expand in size until he covers the entire capital city. An interesting idea, but when you get that big, there’s a danger that the right hand doesn’t know what the left hand is doing. This theme of rulers is continued in ‘King Globares and the Sages’, with a nasty-tempered king threatening to lop off the heads of those who fail to amuse him – until, that is, a wise man cows him with a tale of how the universe really began. And they all lived happily, and, loving not only light but precious stones, they grew famous for their gems. The gems, cut and ground from frozen gases, added color to their eternal night, in which burned – like imprisoned spirits – the thin polar lights, resembling enchanted nebulae in blocks of crystal. Overall, then, two excellent little books that are well worth a read, and when you see which other writers make the initial list of fifty titles (including Borges, Marías and Levi), I’m sure many of you will be tempted to splash out. However, it would be remiss of me not to play devil’s advocate a little. You see, both of today’s choices run to about fifty (fairly small) pages, which means I knocked each one off in about half an hour. In addition, the two works are actually selections from longer collections (Russian Émigré Short Stories from Bunin to Yanovsky and Mortal Engines respectively), meaning a cynic might see them as loss leaders attracting readers to go on to buy the full collection. I think they’re worth every penny and as you say, ideal for filling in the little gaps. 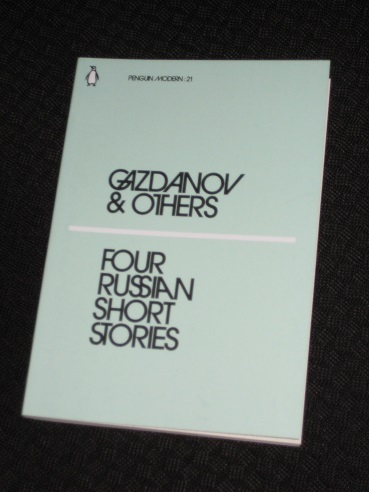 And although three of the Russian stories are from the book, one is newly translated so that’s rather nice. Also, good tasters for authors new to you… Lem is not new to me, but I’m still looking forward to these! I keep spotting these Penguin Moderns and thinking I should check out a few titles. Your excellent review has made me think I’ll be missing out if I don’t! Paula – Well worth a try (it’s probably best to just splash out a fiver or tenner on a few you like the look of!). I did wonder if some of these were excerpts from larger collections – the Ekwensi I read certainly was. Still, they do sound very good. 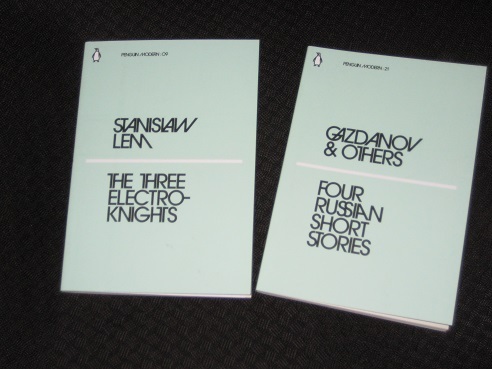 Gazdanov is clearly something of a star and Lem is brilliant.